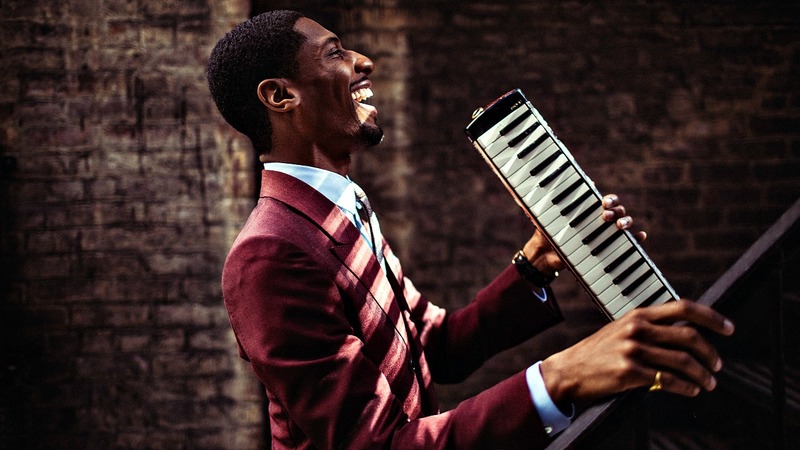 Since "The Late Show with Stephen Colbert" debuted on CBS in September 2015, Jon Batiste, the show's charismatic music director, pianist and melodica master, and his group, Stay Human, have been an indelible part of America's television nightscape. The multifaceted Batiste, who has also moonlighted as a comedian and actor when not playing effusive New Orleans-sparked jazz and rock, is an integral factor in the show's razor-sharp intelligence and sophisticated cool. But the young Kenner, Louisiana-raised, Juilliard-educated, New York-based musician had an impressive, illustrious career long before Colbert and the late night talk show circuit, releasing his first album, Times in New Orleans, at the precocious age of 17. He's collaborated with Prince, Wynton Marsalis and Questlove and is associate artistic director of Harlem's National Jazz Museum. And like this week's FUV Essentials, Mavis Staples and the Staple Singers, Batiste hails from a very musical family, the Batiste Brothers Band (inspiring his character and others in HBO's "Treme"). Activism, altruism and human rights also play a significant role in the young artist's professional and personal life. He warmly defines his art as "social music" — as he explained on "The Colbert Report" back in 2014. "Music is really about a shared experience," said Batiste. "A genuine human exchange." Not surprisingly, Mavis Staples and Batiste quickly found their way to each other — the pair have performed together and Batiste co-wrote the song "Tomorrow" with Aloe Blacc (who wrote about Stevie Wonder for FUV Essentials) for her 2016 album Livin' on a High Note. She discussed their collaboration with Colbert when a guest on the show in February 2016 (with Batiste joining in). Batiste kindly took time from his demanding schedule to write about Mavis, Pops and the Staple Singers for FUV Essentials — and it's a Batiste-style "love riot" of admiration, enthusiasm and inspiration. Her voice is always so honest. This single is from early in her career as a solo artist and displays her ability to tell a story with an uncanny depth of feeling. The redemption in her voice is palpable. I also love how tight and compact the arrangement is. A must listen for true Mavis fans. This recording transports me to another time and place. This is a posthumous release and has a supernatural quality to it. It's trancelike and makes one consider repentance. Mavis has a way of making you feel good about life. When she says everything is gonna be okay, you really believe it. This recording has such a joyous aura to it and it transports you home, no matter where you're from. The wisdom in her voice is healing. Love it! Mavis and her family are truly sanctified, anointed by God to sing and uplift souls. Put this record on and have an instant revival. The power and love that is present in this recording is so moving that it makes me cry. You can almost hear the pews shaking. This was movement music. Revolution music. If an alien from another planet landed on earth and asked "what is music?" this record would in the top ten of what I'd use as an example. Here we witness what happens when a stellar song is performed by the perfect artist for it. No one could have sung this song better than Mavis. It's her soul personified. For die-hard Mavis fans this is an obvious choice but for the novice I'd recommend this is a first listen. My dad would play this song for me when I was a kid and it's always been a part of the fabric of my childhood. It was also the first song that I performed with Mavis when we first met. This song obviously has a special place in my heart and is truly a timeless classic.